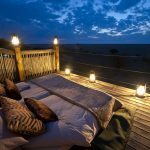 The Kalahari Desert is the largest sand basin in the world stretching 2,500kms from the northern regions of South Africa through to Namibia, Angola and ending in the Democratic Republic of Congo. 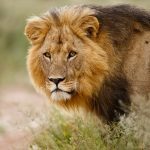 Within this the Central Kalahari Game Reserve (CKGR) is the largest game reserve in the world covering 52,800 sq kms and dominating the centre of Botswana. 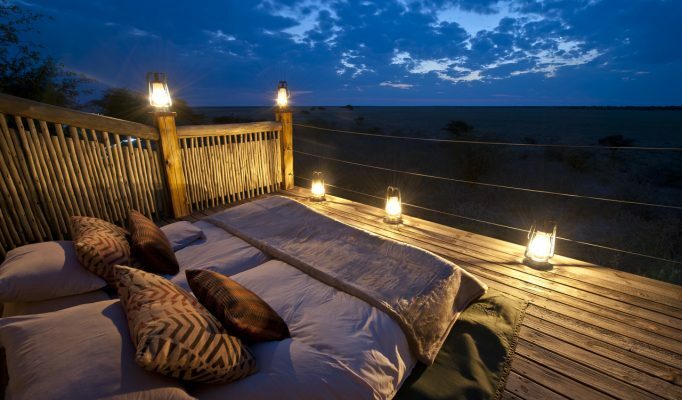 For many years the area was closed to the public (apart from small communities of Bushmen) whilst it now offers one of the most remote of all safari destinations. This region is not for everyone – the landscape is a predominantly unchanging flat terrain which is occasionally interrupted with gentle valleys, sand dunes and a number of pans. However for anyone who enjoys vast open spaces and sheer freedom of a real wilderness area then this is a truly magical place. During the summer rains (January – April) the CKGR is very spectacular with amazing visual displays of cloud formations and lightning storms whilst the plains and pans burst with fresh sweet grass that is perfect grazing for the many species of antelope. 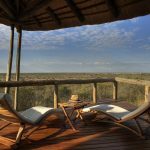 This is one of the best game viewing areas in Botswana at this time of year and not many people seem to be aware of this – so the visitor numbers are few. The dry season (May-September) is also a wonderful time to visit as the animals congregate close to any surface water and pans. The wildlife is often hard to find although at certain times of year the volumes are increased. There are large herds of springbok, gemsbok and wildebeest along with eland, steenbok, hartebeest, kudu and duiker. 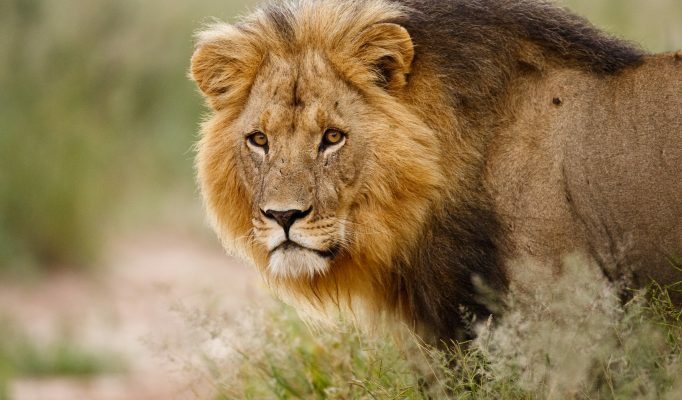 This attracts the predators with plenty of lions – especially the famous Kalahari black-maned lion, cheetah, leopard and jackals. Brown hyenas and wild dogs are also found in the area. There are also over 220 bird species including the world’s heaviest (and Botswana’s national) flying bird, the Kori Bustard, alongside memorable species like the Crimson-breated Shrike, Violet-eare Waxbill and Southern Pipper Babbler. Ostrich are seen roaming free, usually in large flocks. A wonderful region with diverse wildlife and wonderful scenary offering an amazing contrast to the rest of the country. 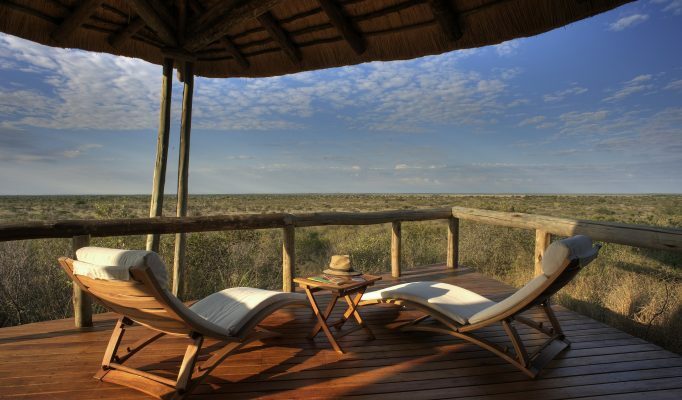 We’d highly recommend both the Kalahari Plains Camp and Tau Pan Camp.